Are you a man and do you want to care for your skin with simple but effective products? 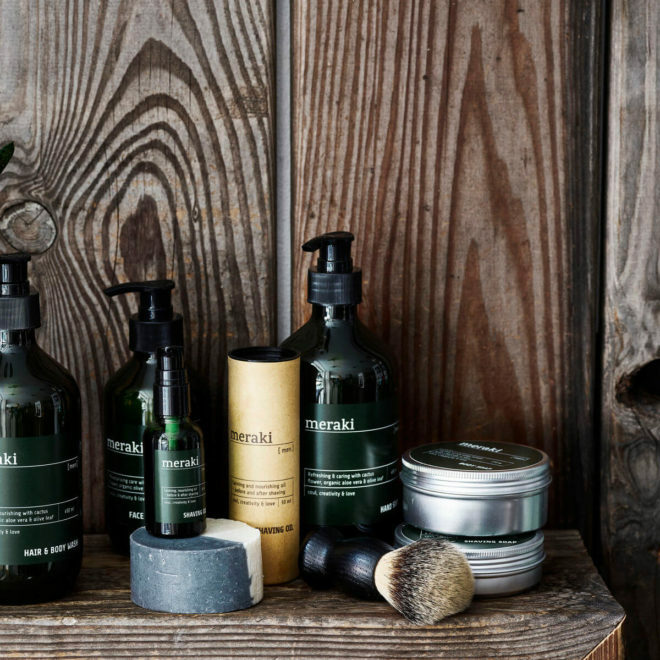 At Meraki we have developed Meraki Men – a series specifically designed for men’s skin which is easy to use. The products from Meraki Men contain mild ingredients as cactus flower extract, organic olive oil and aloe vera which will nourish your skin, body and face. The products contain essential oils from rosemary which will provide your skin with a fresh scent. With the hair- and body shampoo, shaving products and facial- and body lotion you have all the products needed to keep your hair, skin and body well-cared-for in a simple manner.